As you can see, people who spend the majority of their time in Quadrant I (urgent and important) are reacting to one crisis after another, leading to stress and burnout. 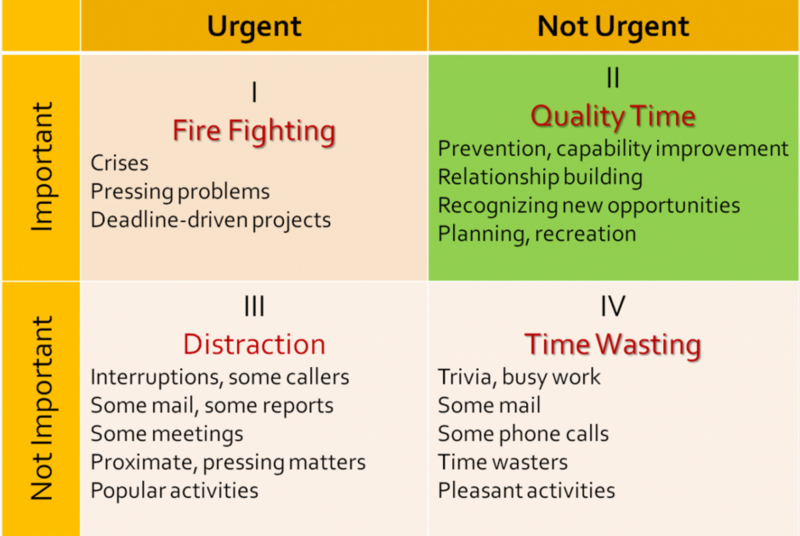 People who spend their time mostly in Quadrant III (urgent and not important) are stuck responding to external demands, while those who spend their time in Quadrant IV (not urgent and not important) are distracted or wasting their time. "Quadrant II is the heart of effective personal management. It deals with things like building relationships, writing a personal mission statement, long-range planning, exercising, preventive maintenance, preparation -- all those things we know we need to do, but somehow seldom get around to doing, because they aren't urgent. To paraphrase Peter Drucker, effective people are not problem-minded; they're opportunity-minded. They feed opportunities and starve problems. They think preventively. They have genuine Quadrant I crises and emergencies that require their immediate attention, but the number is comparatively small." 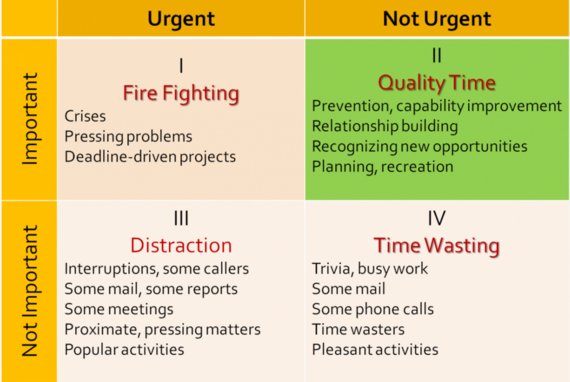 Covey explains that the more we spend our time and energy on Quadrant II, preventative and future-focused activities, the more we'll shrink the fire drills and distractions that characterize the other, less effective, Quadrants. This Time Management Matrix has made it abundantly clear to me that I really don't prioritize much at all. I thought I did because I work long hours and I work hard, so I do get a lot done. I am addicted to checking things off the daily to-do lists I keep in my paper calendar. But everything is a priority to me, whether returning a not-so-critical phone call, promoting my own books, editing my blogging interviews, developing my coaching practice, applying to give my workshop at Chicago locations, reading psychology and self-help books, checking my social media stats, researching an interesting concept for Coach's Corner, you name it. I am busy, busy, busy. Worse, I'm often multi-tasking -- listening to a podcast while I cruise Facebook and Twitter, for example -- which really means I'm not getting much out of either experience. And the proactive, forward-thinking activities of Quadrant II, like exercising, strategic planning, and relationship building, often take a back seat. Evidently, I have work to do on setting priorities, which will translate into long-term plans that feed into proactive daily activities. Covey gives extensive instruction on how to do this, so that will be a good place to start. But one thing's for sure, I'm not giving up all of my Quadrant IV time wasters, like binge watching Orange Is the New Black! 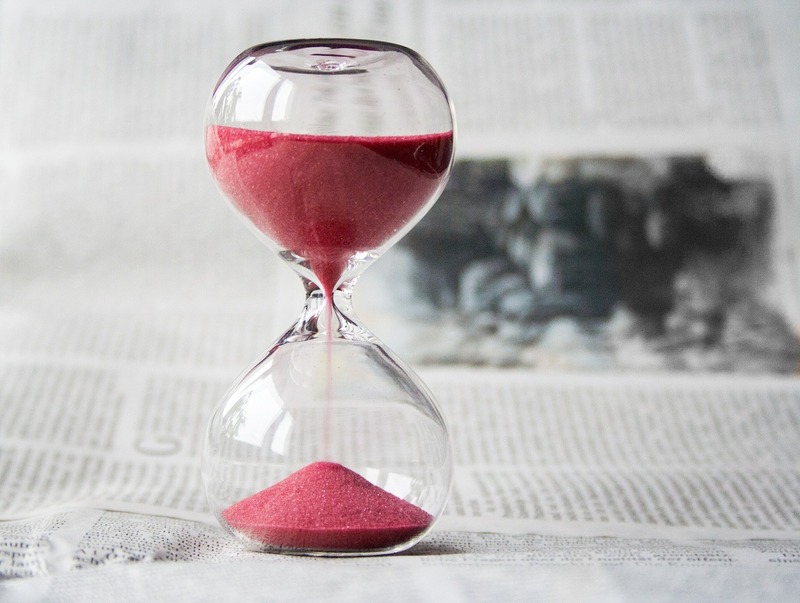 How do YOU spend your time? How well do YOU prioritize? What's one step YOU could take toward more Quadrant II activities? If you're interested in a free life coaching consultation with me, find out details on my practice and write to me at helene@nextactforwomen.com. 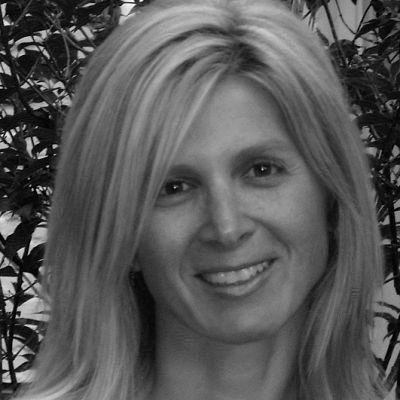 Certified Life Coach & Speaker helping women find happiness after the empty nest.